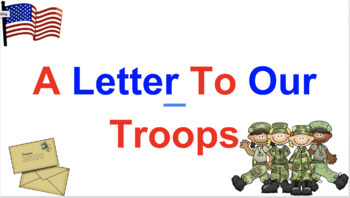 A downloadable PowerPoint with guidance on how to write a letter to our troops. 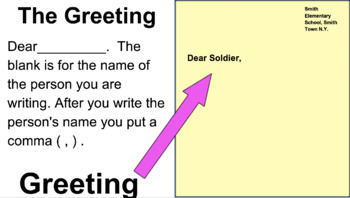 This is a great way to thank those that serve our country as well as teaching students how to write a letter. Students will first select a greeting from the list. Students will then write a body paragraph thanking him/her. 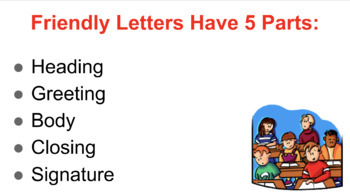 Students will then add a closing to their letter as well as their signature. Attached is a graphic organizer to allow for students to organize their ideas before their final draft. 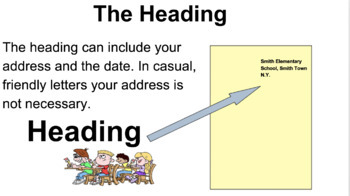 This powerpoint has visuals as to what students will be doing as well as sample letters of other students.